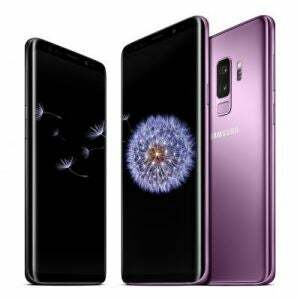 Samsung has unveiled its latest flagship smartphones, the Galaxy S9 and Galaxy S9+, which will soon be finding their way onto retailer shelves, equipped with a range of camera-focused features, and with the emphasis firmly on visual expression and communication. The S9 and S9+ arrive to market in what Samsung labels “an age in which consumers increasingly communicate and express themselves more with images, videos and emojis”, and accordingly sport a rear camera with a dual-aperture lens, geared to deliver a variety of functions. The rationale is that cameras have evolved into more than simply being a tool with which to take photos, and in the words of Samsung are “for connecting and communicating” (more on the S9 and S9+’s camera technology and specific features can be found below). While camera upgrades may be a headline feature of the S9 and S9+, as is to be expected with any flagship release, the new line sports a range of new features, designed to deliver a premium mobile, connected experience. Certainly, the S9 and S9+ sport a pretty familiar look, following on from last year’s S8 and S8+, including the instantly recognisable Infinity Display. So, what can consumers keen to get their hands on Samsung’s latest offerings expect? As is the trend with new-release smartphones, the S9 and S9+ sport screens at the larger end of the smartphone scale, with the S9 measuring in at 5.8 inches and the S9+ 6.2 inches. By way of comparison, Apple’s latest releases, the iPhone 8 and iPhone 8 Plus respectively measure in at 4.7 inches and 5.5 inches, and the iPhone X 5.8 inches, while Huawei’s Mate 10 sports a 5.9-inch display and the Mate 10 Pro a 6-inch display. The S9 and S9+ screen size and specifications are the same as last year’s equivalent S8 variants, with the S9 line featuring a curved Super AMOLED Quad-HD+ (2960 x 1440) display with an 18.5:9 aspect ratio (the S9 570 ppi and the S9+ 529 ppi). The edge-to-edge Infinity Display “seamlessly curves at the edges to blend into the Galaxy S9’s body”, while adaptive contrast enhancement provides for users to use their device even in direct sunlight. Samsung states that “films, shows and video clips are captivating when viewed on the 18.5:9, HDR (high dynamic range)-capable display”, stating that its “impeccable accuracy allows such content to be presented exactly as creators intended”. What’s powering the S9 and S9+? The S9 line packs the sort of under-the-hood grunt that can be expected with a new-release flagship, powered by a 10 nm 64-bit octa-core processor (2.7 Ghz quad + 1.7 Ghz quad), with the S9 equipped with 4 GB RAM and the S9+ 6 GB RAM. Both the S9 and S9+ come with either 64 or 256 GB of internal memory, and feature a microSD slot, allowing for up to 400 GB of additional storage. The S9 is equipped with a 3,000 mAh battery and the S9+ a 3,500 mAh battery, with the option of wired and wireless charging. 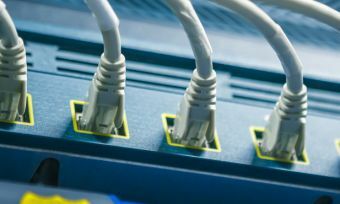 Of course, the amount of use gained from a charge will depend upon individual usage patterns, from browsing the internet, to audio and video playback. The S9 and S9+ sport stereo speakers tuned by AKG, with Samsung stating that the line also supports Dolby Atmos, providing the effect of 360-degree sound. “To make it easy for users to immerse themselves in their content, Samsung placed powerful, AKG-tuned stereo speakers into the bottom and earpiece of the device that produce rich, balanced sound, no matter the volume,” Samsung states. 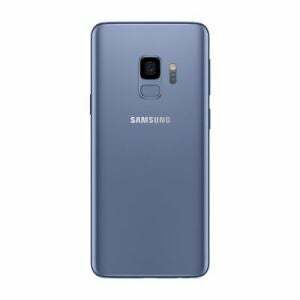 When it comes to connectivity, the S9 line features Wi-Fi 802.11 a/b/g/n/ac (2.4/5 GHz), Bluetooth 5.0, NFC and USB Type-C.
Samsung states that the S9 line’s cameras are built with users who are looking to “express themselves with high-quality images and tools to tell their own, unique story” in mind. Samsung states that the dual aperture “automatically lets in more light when it’s dark and less light when it’s too bright, taking photos that are crisp and clear”, while the Super Speed Dual Pixel image sensor supports faster image processing, allowing for the S9 line’s Super Slow-mo function. Super Slow-mo allows users to record content 32 times slower than normal video, providing for 0.2 seconds of normal video to be transformed into approximately six seconds of footage. Working in conjunction with Super Slow-mo, Automatic Motion Detection allows for automatic recording of moments, while, in line with the emphasis on visual communication, users can customise and share Super Slow-mo videos, having the option to create a GIF of their clip. Meanwhile, also focusing on visual communication, the S9 line’s AR Emoji feature provides “users a visual communication tool that allows them to express themselves in a way that’s unique to them”. “From a single selfie, the Galaxy S9’s machine-learning algorithm analyses more than 100 distinct facial features, including your eyes, nose, mouth, cheeks and forehead, and uses that data to generate a personalised 3D avatar, or ‘my emoji’, that looks just like you,” Samsung states. The S9 line runs the Android 8 Oreo operating system, features Samsung’s virtual assistant Bixby, and will be the first smartphone to run Samsung’s new SmartThings app. Samsung states that Bixby “is deeply integrated into the Galaxy S9’s camera”, with it utilising augmented reality and deep learning to provide users with real-time information. “When the user points their camera at an object, Bixby recognises what it’s looking at and instantly presents information related to that object overlaid on top of the image,” Samsung advises, pointing to the Live Translation function as an example, which could help to translate a menu or a sign. Samsung states that the SmartThings app, set to be released in March, “places controls for a wide ecosystem of compatible smart devices in one simple and consistent interface”, connecting with both Samsung and other devices. “The new app unites the previous SmartThings app with existing Samsung IoT applications, including Samsung Connect, Smart Home and Smart View, to allow for consistent experiences across SmartThings-compatible devices,” Samsung states. Among the other new features that Samsung has introduced with the S9 line is Edge Lighting Notifications, designed to help users multi-task using the Infinity Display, which ties in with its Multi-Window function, allowing for users to manage two windows on their screen. Via Edge Lighting Notifications users can manage incoming messages, being presented with an icon that allows for the launch of a Multi-Window, providing for the message to be viewed and a reply composed without navigating away from the user’s previous activity. Both the S9 and S9+ are IP68 water and dust-resistant, with Samsung stating that a metal frame, which is slightly more protruded than the glass as a means of increasing durability, utilises an upgraded aluminium material, improving resistance to scratches. Samsung states that the S9 line is “made to fit comfortably in your hand”, with the camera sitting flush with the back, and the fingerprint sensor placed in the centre, and the front-facing iris-scanner positioned within the upper bezel. 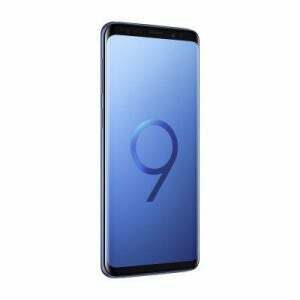 The S9 line – which is available in midnight black, coral blue and lilac purple – is currently available for pre-order, shipping from March 12, with prices starting at $1,399 for the S9 and $1,599 for the S9+, with further information available via the Samsung website.